IFA2018 Berlin brought so many gadgets, few innovation one, few home appliances, few official devices and entertainment gadgets in the show. Lenovo also introduced few home appliances and laptops. The brand has introduced Yoga series laptops beside Thinkpad and may be more. Here we are letting you know about one of the computer device from Lenovo that was announced IFA18 Berlin. Yes, it is nothing but the latest Lenovo Thinkpad X1 Extreme laptop launches. 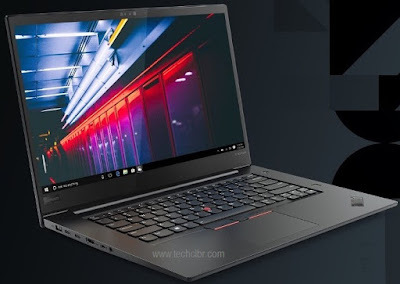 If you are looking for Lenovo Thinkpad X1 Extreme laptop key features, technical specification, first impression, review and price detail etc. then you have to wait for few more days except the official detail given below about the laptop. The thin laptop looks pretty and have to wait to see it in the offline or online market, anytime soon. What we came across is what we are letting you know about the subject laptop that too in brief. Its specs and features as follow. The laptop is Extreme in every way so the name and design. It is thin, light and powerful. It is available with Nvidia Geforce graphics. The device is equipped with Dolby Atmos and Dolby Vision. The Lenovo Thinkpad X1 EXtreme laptop comes with 15 inches 4K HDR display. 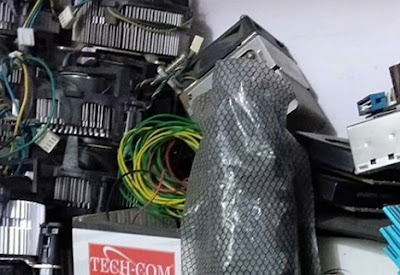 It also comes with Intel processor and different variants of RAM and ROM (internal storage / HDD). The device will run with the latest Windows 10 operating system and software security. Hopefully, Thinkpad X1 Extreme laptop would come with 8th Gen Intel i7 processor. Let us see it's official detail on this. Thinkpad X1 EXtreme laptop price: (Will be updated). Addition info: The brand also coming with smart home. You may find Lenovo smart bulb, smart plug and smart camera around soon. Tips: One of the reliable brand laptop to go with. Motorola has announced in IFA2018 Berlin that it will launch two Android One smartphones with Top-Notch design. They are Motorola One and Motorola One Power smartphones. The phone might release with dual-camera and Full-View features to match the current trend. 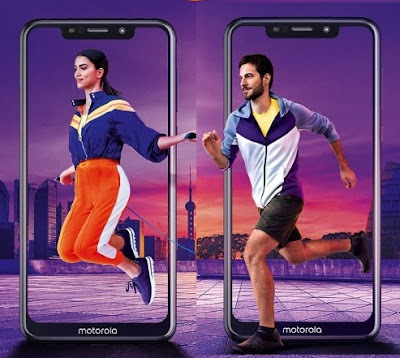 If you are looking for Motorola One Power and Motorola One smartphones key features, technical specifications, launch date, price, release date and review etc. then please stay tuned and we would update them once official information is received. Earlier, Motorola has launched Moto P30, Moto G6, Moto E5 and E5 Plus etc. There are few other brands who are planning to launch their smartphones in October as well. There are few brands who are planning to launch their smartphone in this month, September, this is including Apple's iPhones as well. We will cover entire detail and let you know. See you then. 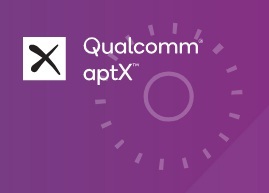 Qualcomm Incorporated, announced that its subsidiary, Qualcomm Technologies Intl., Ltd. has launched Qualcomm aptX Adaptive, a next-generation audio codec designed to be dynamically adjustable. If you are interested to know more about Qualcomm's and aptX latest development on this then please find them over here. The exciting addition and premium audio portfolio combines enhancements in premium audio quality, robustness, scalability, low-latency and low-bit rate audio transmission to support a superb wireless listening user experience for current most popular and demanding applications including watching video, mobile gaming and music listening etc. The latest combine would help for better output in the technology arena. It could be possibly one of the best features added to the relevant devices. aptX Adaptive technology is uniquely engineered to automatically adjust to provide optimum audio quality or latency depending on the type of content being played on the device. This also taking into account the external RF environment to support a robust connection. Qualcomm for the next generation of consumers who want to replace the wire completely. Qualcomm invents breakthrough technologies that transform how the world connects, computes and communicates. We recently came to know that Xiaomi is expected to launch Mi Mix 3 smartphone in October and this phone may launch in India as well. Good News. As per the photo available online and IFA2018 Berlin news, we got some clue about the smartphone's specs and features which may or may not be correct or, it may be leaks or speculation as well. However, we would provide more detail on Mi Mix 3 smartphone' official detail if available from Xiaomi. Time being you can check this gadget's unconfirmed detail key features, specification and price detail etc. 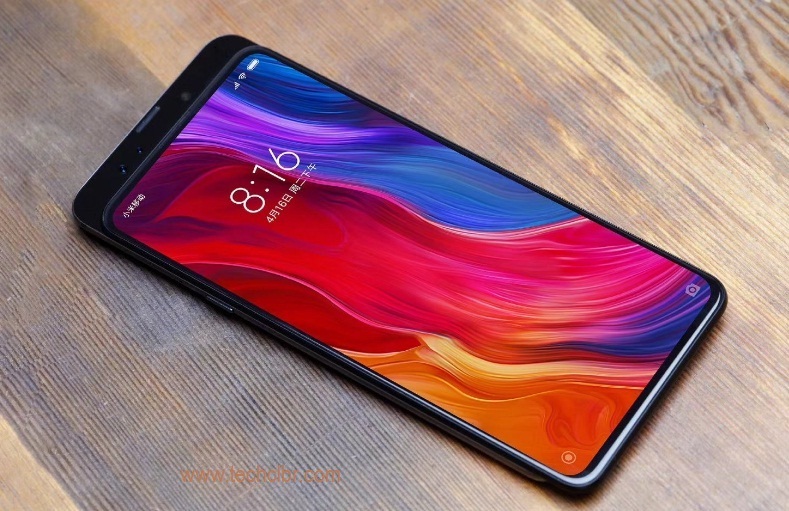 Xiaomi Mi Mix 3 smartphone's first impression is given herewith. Hope you enjoy the full-view device. The phone photo shows that it may launch with Pop-up camera feature and high-end specifications. 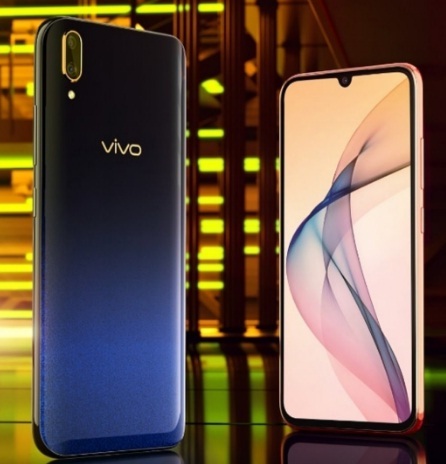 It is also coming in the row of Oppo (FindX) and Vivo (Nex) premium smartphones with this pattern. It will be a good to see the innovative gadgets from Xiaomi as well. Hopefully, this phone might be cheaper than rivals. Let us wait and see how Xiaomi is going to release Mi Mix 3 smartphone. We would publish complete detail on Xiaomi Mi Mix 3 mobile phone including review etc. Stay tuned. Tips: One of the best brand to go with their gadgets. Oppo recently launched different series of smartphones including budget and an expensive one. One of the budget smartphone from Oppo is A3s and one of the expensive plus premium smartphone from the brand is FindX device. Oppo too has rivals and can accelerate competition around for its design and features. The another sub-brand of Oppo is, Realme. 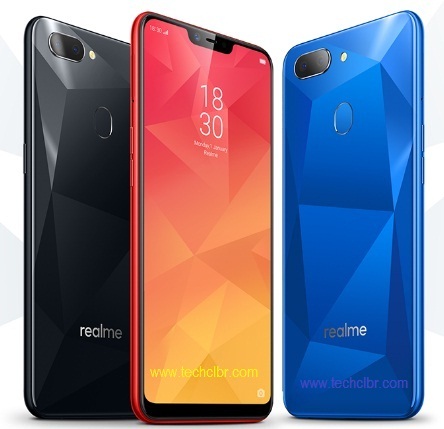 The new brand Realme also has launched Realme2 smartphone recently after the huge success of Realme1 mobile phones. We were thinking to compare Realme 1 vs Realme 2 smartphones but finally thought that there are few differences between these two, like Processor, Top Notch, Screen, Pricing and same brand. The rest has no much differences. However, it is better to compare between two different brands' devices than the same one even though one of the device is from a parent company. 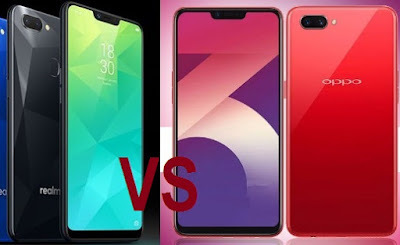 Let us quickly go through how Realme 2 vs Oppo A3s smartphones comparison goes with little info and without much detail in it. Both the devices (Realme 2 vs Oppo A3s) comes with Top-Notch design and one of them even comes with 2GB of RAM (A3s) whereas Realme2 starts from 3GB RAM variants. Likewise, the internal storage of A3s starts with 16GB ROM for 11k budget and Realme2 starts with 32GB ROM for just 9K. These are the cheap and best Top-Notch smartphones at the moment though both of them have mid-range key features. You can buy A3s offline and online but you have to buy Realme2 online only. Both the gadgets comes with the same processor Qualcomm's snapdragon 450 with Adreno graphics. Realme 2 and Oppo A3s, both comes with 6.2 inches display and 4230mAh battery altogether. Realme2 and Oppo A3s equipped with almost same megapixel cameras in their devices. Both the devices gives enough low-light results that's okay in the budget. Both built with the face unlock feature but Realme2 comes with fingerprint unlock beside and A3s lack of it. Tips: You can buy Realme2 for price point and better RAM/ROM. You can buy Oppo A3s in case if you love Oppo brand and medium-heavy usages. Apple used to launch their latest iPhones, iPad, MacBook and Smartwatches etc. every September month, thus, we can expect the same on September 12, 2018 as well which is just few days to go. 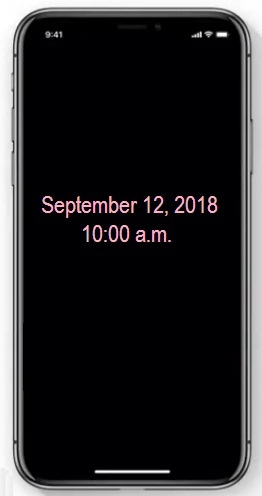 There are some hints, speculations and news around about the upcoming special event's from Apple on above said date and its gadgets. So, we can expect the big one from Apple this time. As Apple says, a new world all around you from these devices and their features. Some speculations were that iPhoneXI will be releasing with different dimensions or screen sizes. Not sure about iPhone9 etc. though. 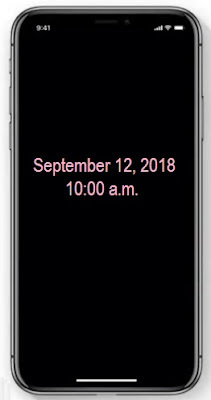 We heard that Apple is about to conduct the special event on September 12, 2018 at Steve Jobs Theater in Cupertino. The event would be filled up with techies, professionals, media and business heads as usual. We can expect as many features from all their upcoming devices including smartphones alias iPhones, iPad, Mac and Smartwatches etc. The gadget may release better AI interface and Augmented Reality as well. We can also expect the iOS13 or upgrade program etc. Stay tuned, we will update more on Apple events, their product launches and release date etc. Tips: You can check Apple website for up to date info. Why OnePlus6 smartphone is getting stronger day by day? As you are aware, OnePlus brand has released OnePlus6 smartphones in a different variants few months back, got enormous response across globe and huge sale as well like it had happened to its previous version e.g. OnePlus 5, OnePlus 5T, OnePlus3 and OnePlus3T etc. The history continues and the brand maintaining its own standard as unique including 'Never Settle' theme. It has brought some innovation gadgets that let other brands to awake on-time. Hope you understand what I mean is. Yes, few of them awaken as well. OnePlus rivals released few smartphones with similar specification and features but they either increased the price or decrease the price. 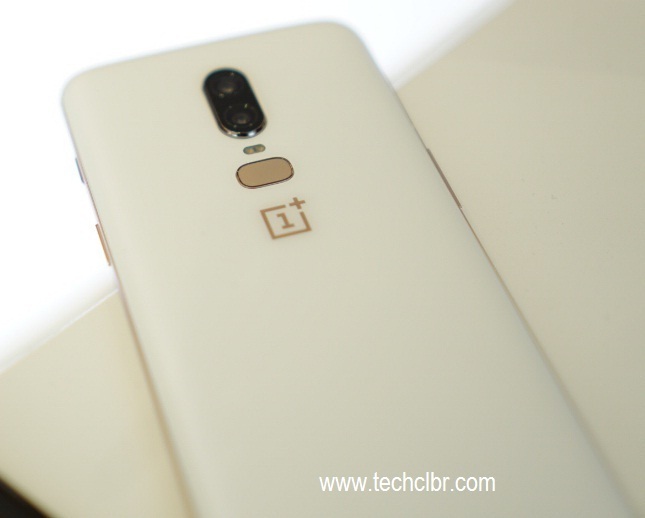 Their device somewhat came closer to OnePlus6 phone and few not on various parameters including device performance and sale. Few brought additional innovation things in their mobile phone beside similar specs compare to the latest OnePlus device but still they left behind on the race. The OnePlus brand is still top on premium range smartphone despite few rivals tried their best to lessen the price of their devices, or release their device often with more or less similar features. The secret of the OnePlus success is only known by their heads and not the rivals though they try their best for similar key features and technical specification. The other brand might sell their device better than OnePlus phone but still the time will tell which one is the best on premium range, quality lasting and a long run including OS updates etc. The resale value of the subject phone is still high compare to rivals, this is one more points over here. This is one of the best smartphone and best selling smartphones in 2018 for sure. We would publish more detail on this later. Stay tuned. Please feel free to add your comments. Tips: This is just some of our analysis and research which we would continue on a different parameters, practically. BPL has recently launched few Healthcare devices including ECG, LifePhone Plus (Cardio device), BP Monitors, Nebulizers, Inhalation therapy, Heating Belt, Finger-tip Blood Oxygen monitor, Infection free temperature measurement and on as home care products with cost effectiveness. BPL Medical Technologies, a dominant player in ECG, Critical Care, Defibrillator and Surgery segments, has been serving the medical fraternity for nearly 50 years by providing reliable products and assured service at an affordable price. If you are looking for the latest medical devices from BPL then please find them over here. 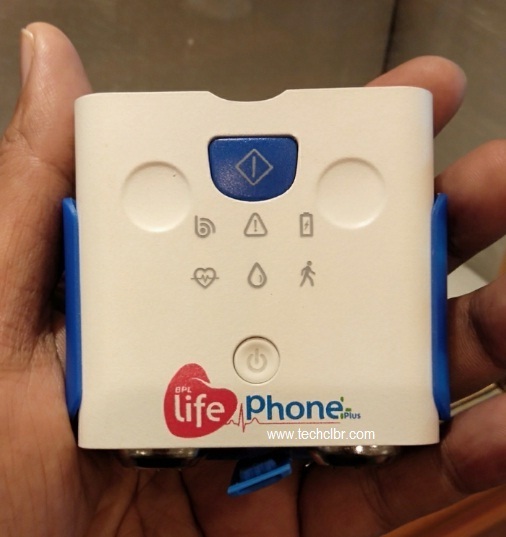 Before that, we would like to share about the BPL LifePhone Plus gadget that comes in a small size or half of the size of the mobile phone and portable as well. LifePhone Plus portable device helps the Cardio / heart patient to use it at home for 12 channels checking by following its app guideline through Smartphone connecting via Bluetooth to give the 93% result compare to ECG Diagnose test done outside. The app will also help to communicate with the patient's health specialist or consultant as well. It is not necessary to shave or apply gel while using this device to check ECG parameter. The four steps instruction from LifePhone app is more than enough to give the entire ECG report within a minute. Each step might take ten seconds and four steps would give the result. One more good thing about the device is, it can be used for more than one person to check their ECG parameters. The LifePhone Plus app is available for iOS and Android phones. The data of the patient would be saved in cloud as well for medical history and future requirement. It would also play one of the main role as EHR (Electronic Health Record) or EMR (Electronic Medical Record). You would understand that how information and technology has grown that even helps the healthcare industry. We would publish the other BPL medical devices info, later. 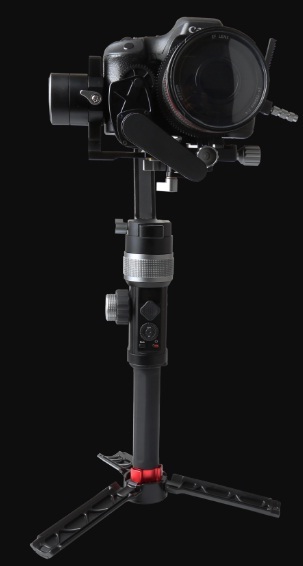 Some of the products are latest one and few of them are upgraded one. Some of them are C certified from UL as well. Tips: You can almost get the right result from every home-care devices. You can consult with your Doctor accordingly. They are all for 'prevention is better than cure' products. Are you looking for official launches detail of Realme 2 smartphone? If yes, please find them over here. The eagerly waiting for the device detail is over. The brand has finally launched the budget friendly smartphone, Realme 2 with a 6.2’’ Top Notch and Full Screen with price tag of INR 8990 (starts). The phone has also packed with a 4230mAh AI battery. A Notch Above smartphone comes with potential features, and if you are interested to know Realme2 key features, technical specifications, price, first impression, review excluding hands-on review (later) and comparison etc. then you can find them over here. The latest phone is powered by Qualcomm Snapdragon 450 octa-core processor and paired with 3/4GB of RAM variants, and price accordingly. The internal storage of the smartphone is of 32G / 64GB variants in addition to expandable option of up to 256GB via microSD card. Realme 2 runs with the latest ColorOS 5.1 beside Android Oreo operating system and ready for Pie as well. The gadget also coming with Adreno 506 with AI gaming acceleration that would help many gameplay users. As far as the camera of the Realme 2 mobile phone is concerned, Realme has introduced it with 13+2 megapixel dual rear and 8 megapixel front shooter / selfie camera. The combination of SD450 octa-core processor 450 and 4230mAh battery will ensure smooth performance and reduce heating and battery consumption in the gadget. It has security features like Fingerprint Unlock, Speedy Facial Unlock, and Smart Unlock based on UI. This is one of the cheap and best smartphone to grab. Realme2 may be the best selling smartphone and possibly one can get the best deal around. You can check its specs and price detail below. Tips: Everything is good in this phone except little disappointment on low-range processor compare to its earlier Realme1 phone. Rest assured is satisfied. You can buy the phone from Flipkart on September 4, 2018 onward. We will review this phone and publish it soon. Realme, a sub-brand of Oppo is about to launch A Notch Above smartphone, Realme2. There is huge expectation from the fans across. The device is the successor of Realme1 smartphone that was launched in May 15, 2018. It was a blockbuster and still the sale is going well. The next one is, Realme2 phone that would come shortly and has huge anticipation from its fans around. As per its advertisement, the device might come with top-notch, huge battery or 4320mAh, dual camera, fingerprint sensor etc. When we compare Realme2 vs Realme1 then we could find that the brand intend to release their smartphones under 10k with better quality overall for everyone's ease access. Realme2 smartphone in offline market? However, the brand offers their device online only and hard to buy their phone offline. If Realme try to push a bit to sell it offline market then they may get huge success and sale as well compare to current scenario. Let us see how it goes. We will share with you soon about Realme2 key features, technical specifications, price (possibly under INR 10K), review and comparison etc. once it is officially launch, and it has just few hours to do so. It must be powered packed features smartphone, cheap and best smartphone and possibly the best selling phone as well. You may get the best deal online for sure. Stay tuned. Route Mobile Limited joined hand with Idea Cellular, today. If you are interested to know more detail about their association then please find its brief over here. Route Mobile Limited (“Route Mobile”), a cloud communications platform service provider, announced that it has partnered with Idea Cellular to manage the international A2P SMS traffic in India. This will improve A2P monetization. In short, Route Mobile will address and protect revenue leakage via SMS grey routes and help Idea Cellular to improve Application-to-Person (A2P) monetization. This cooperation will strength and ensure to deliver great customer experience for their clients through tailor-made mobile communication solutions. The process will have SMS Firewall, Analytics and Monetisation solution, which will offer a secure SMS channel to Idea Cellular and open-up revenue channel. “We are very delighted to partner with Idea Cellular”, said Mr. Rajdipkumar Gupta, Managing Director and Group Chief Executive Officer, Route Mobile Limited. The Ministry of Civil Aviation, Government of India has taken step on making Drone's first Policy and guidelines in India. The regulations drafting and finalization for Drones took many years considering various factors including safety and security. The Drone policy will be effective from December 1, 2018. The policy and guidelines are available on the website of Ministry of Civil Aviation. What are the things to remember to use the drones here? 3. Drones can be flown at a maximum height of 400ft. in authorized place. 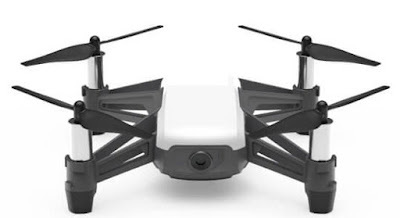 (In general, we can able to buy commercial drone that flies max up to 50ft. only). This policy on Drone is a good move. Hope it clears the doubt for those who uses drone's around. So, it is now legal to buy and use drone in India as long as one abide the policy is announced. We would update more detail on the subject topic, soon. You may also add your comment which we could answer on this subject.